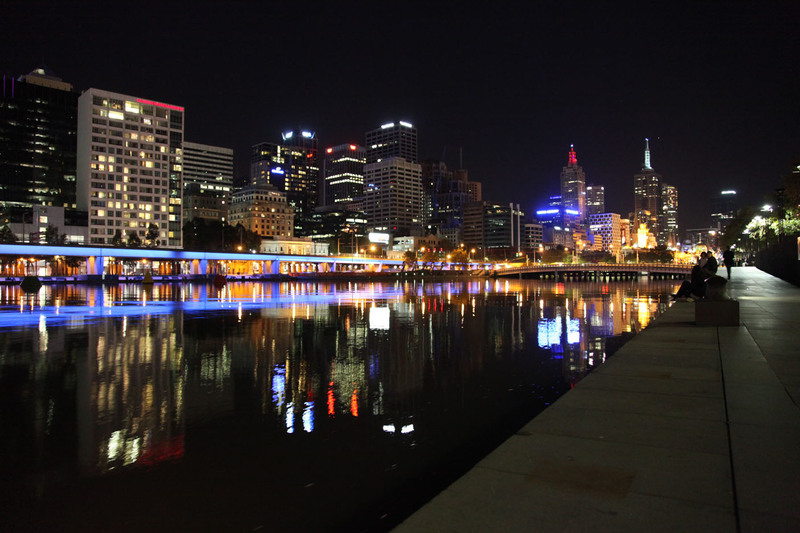 Like almost every city in Australia, Melbourne lies in close proximity to a variety of natural attractions and national parks. 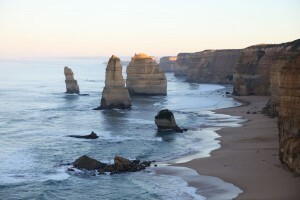 As part of our long Easter weekend in Melbourne, we set out to visit two of the most popular attractions in the area: Phillip Island and the world famous Twelve Apostles. 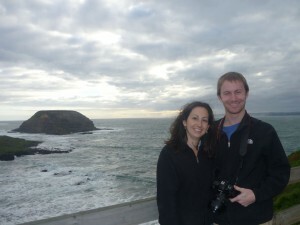 Despite a minor mishap with the rental car (seems that the office closed earlier than we expected), we first set off on our day trip to Phillip Island, home of the Koala Conservation Centre, the Nobbies, and the Penguin Parade. 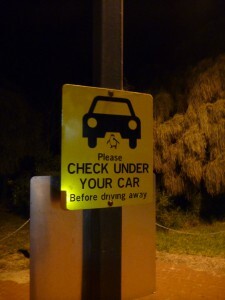 Check under your car for penguins! 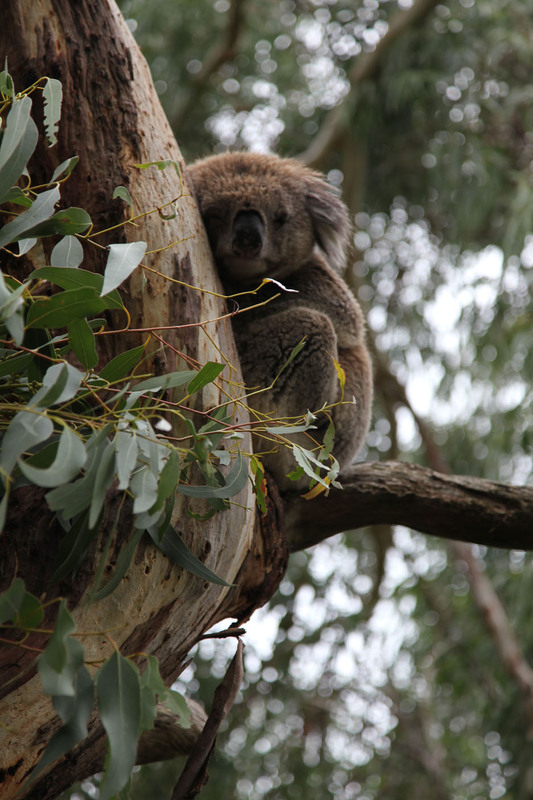 Until this point we actually hadn’t seen any of Australia’s most famous marsupials in real life, so the trip to visit the koalas was particularly exciting. Though the koalas were the main attraction, the centre was also home to a number of other Australian animals, like wallabies and echidnas. Since koalas are difficult to spot in the wild, there were plenty of raised catwalks through the trees so that visitors could get up close and personal. Unfortunately, though there are places where you can hold a koala, this wasn’t one of them, so we had to be content with just observing. After a quick stop at the Nobbies, a lookout point on the western edge of Phillip Island, we made our way to the Penguin Parade, the island’s most famous attraction. Every night, hundreds of Little Penguins make their way in from the ocean, up the beach and past bleachers of onlooking spectators to return to their burrows. We were lucky enough to arrive at the right time: the tide was on its way out and had just finished washing over the bottom rows of bleachers when we made our way toward the beach, so we got a front row seat. As camera flashes hurt young penguin eyes, photography was not allowed, but there were plenty of opportunities to get up close to the little birds. Some do travel pretty far inland though, so make sure to check under your car when you leave! After a day or two back in Melbourne, we left on our second road trip to the Great Ocean Road and the Twelve Apostles. Often listed as one of the world’s great scenic drives, the Great Ocean Road winds down the south-eastern coast of Australia and passes by beaches, rainforests and other natural landmarks. Built by soldiers coming back from World War 1, the road also holds the distinction of the largest war memorial, dedicated to the casualties of the war. 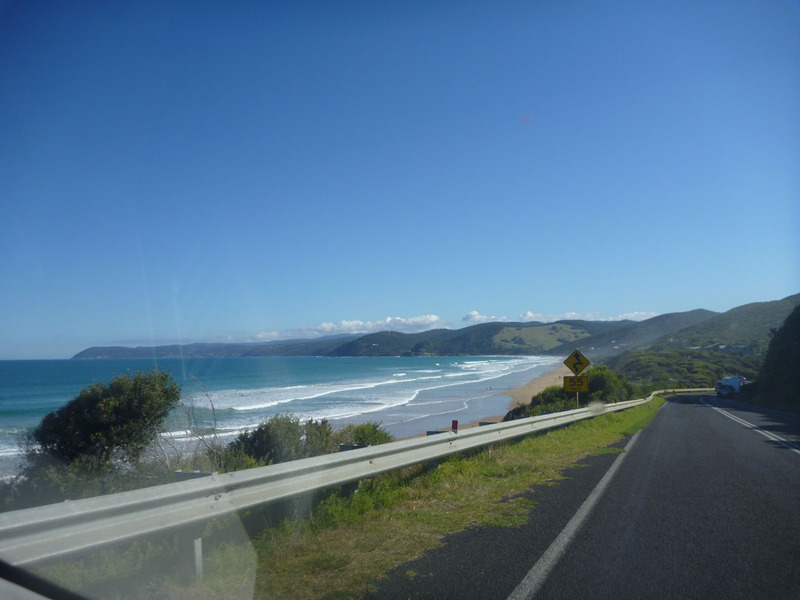 Starting in Melbourne, we worked our way down the coast past beaches and through little towns until we arrived in Lorne, one of the larger towns on the road, and stopped for lunch. From there we continued on, making a quick stop in Apollo Bay for gas, with the intention of reaching the Twelve Apostles just before sunset. Unfortunately, there was some traffic just as we were nearing our destination, so by the time we got to the area, the sun had already set. We continued on to Port Campbell to find our motel and crashed for the night, planning to get up early the next morning so we could both see the rock formations and ensure that we would make it back to Melbourne by noon (stores close pretty early on holidays in Australia, if they’re open at all). 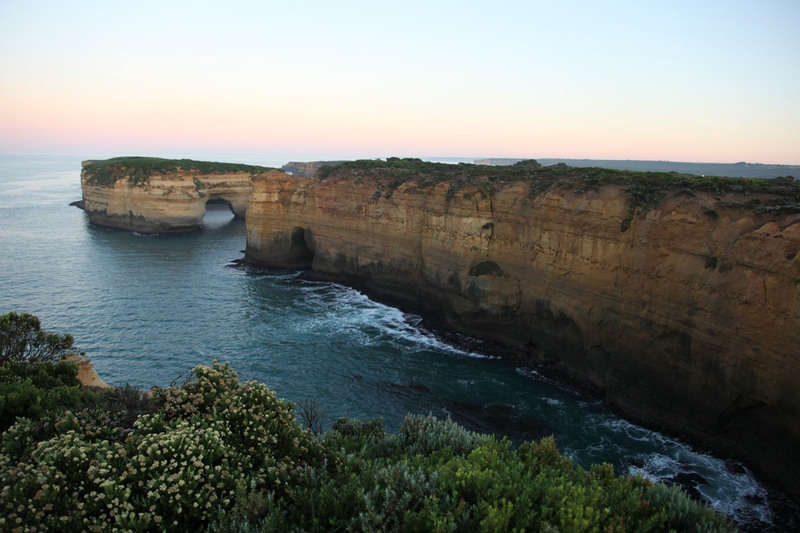 After an early wake up call, we were back on our way, stopping first by the Loch Ard Gorge, a natural inlet named for a ship that ran aground there in 1878. 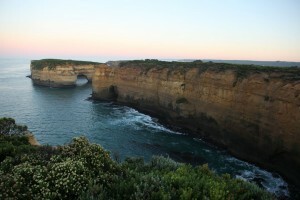 Our last stop was at the Twelve Apostles, a collection of limestone stacks off the coastal cliffs near Port Campbell. The site has gone through a few different names over the years, but, despite the name, has never actually had more than 9 stacks. The current count is 8 stacks, as one of them fell down in 2005 due to the continued erosion that created them in the first place. It was rather cold in the morning, so we didn’t get to any of the beaches, but there are some great lookout points in the national park. Overall, absolutely worth the trip… the formations are pretty cool. Though Sydney tends to represent Australia on the world stage, with its famous landmarks and endless beaches, it has not always been Australia’s most important or populous city. 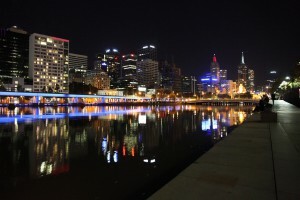 From the 1850’s gold rush through the early 20th century, Melbourne was larger and growing faster than Sydney and was the country’s capital prior to the founding of Canberra. As you might expect, this has led to a bit of a rivalry between Sydneysiders and Melbournians, often fueled by business developments or livability rankings. Though the balance has swung back to Sydney’s favor, Melbourne is on track to surpass Sydney in population within the next 30 years. But too much time spent looking at charts, rankings and statistics does neither city justice; it is only by visiting (and you should!) 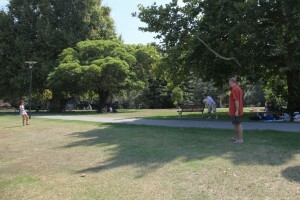 that you can really understand what makes Melbourne and Sydney different. 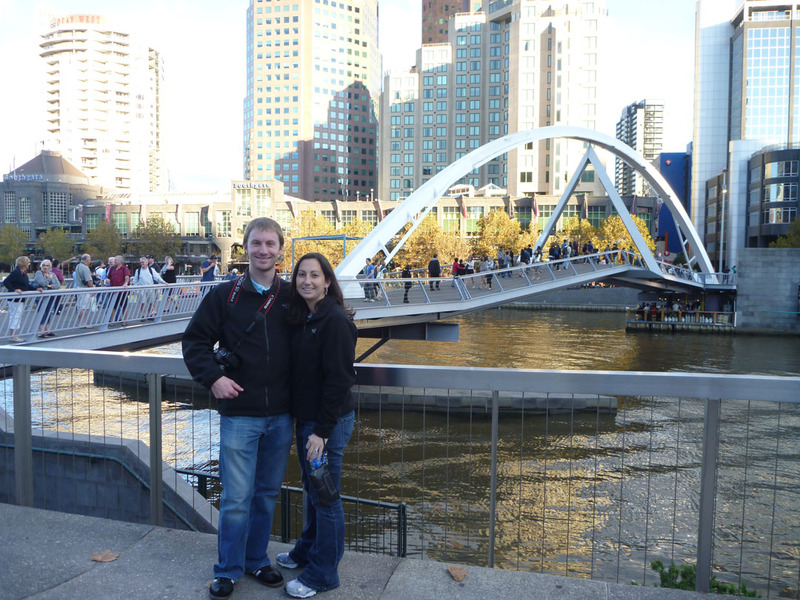 Luckily for me, while working on a project with a major Australian telecom, I spent a few months living and working right in the middle of Melbourne’s CBD. If Sydney is New York, Melbourne is probably San Francisco or Los Angeles. Compared to Sydney’s go-go-go business powerhouse-ness, Melbourne has an abundance of cafés, back-alley bars, restaurants and culture combined with an overall laid-back ambiance (which says a lot in Australia). As I’ve told a few different people, I’m happy that we’re living in Sydney for our temporary stay, but if we were to move here permanently we’d probably live in Melbourne. 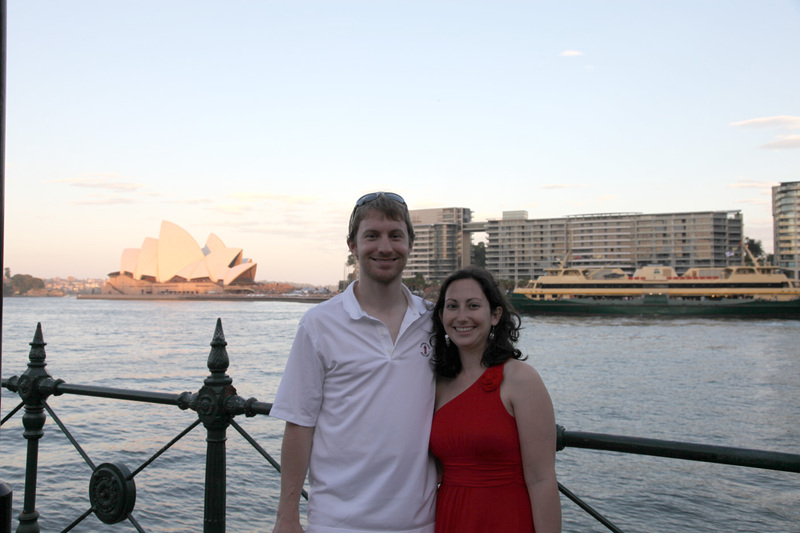 Despite having spent a few months working there, I hadn’t really experienced the city as a tourist, so when the long Easter weekend rolled around at the end of April, I flew Kristen out so we could actually explore and see some of the sights. 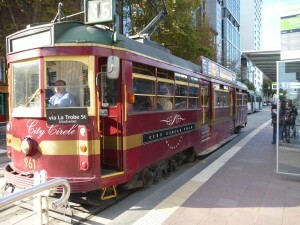 Though they are occasionally found in other cities, Melbourne is famous for its abundance of trams. In addition to the ones used by daily commuters, Yarra Trams also operates a free City Circle Tram. 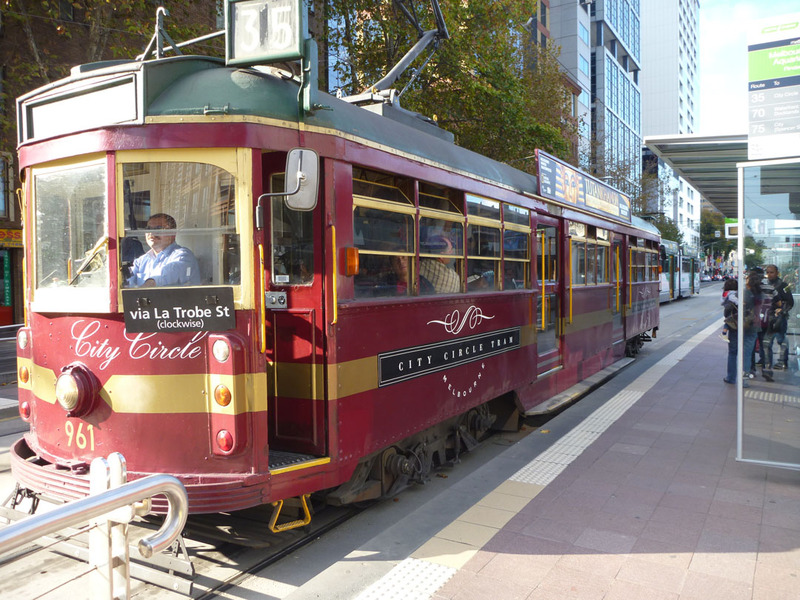 Using some of their historic cars, the tram goes in a circle around Melbourne’s CBD and includes an audio tour of some of the city’s highlights. We stopped at Federation Square and the Melbourne Aquarium before heading over to the Crown Casino for dinner. If you had to make a list of things Melbournians are passionate about, the AFL would probably be at the top of the list. 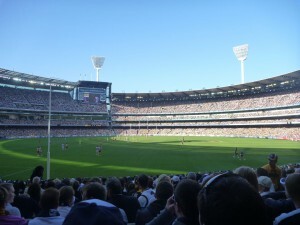 Though it’s called the Australian Football League, of the 17 teams in the league, 10 are located in or around Melbourne. 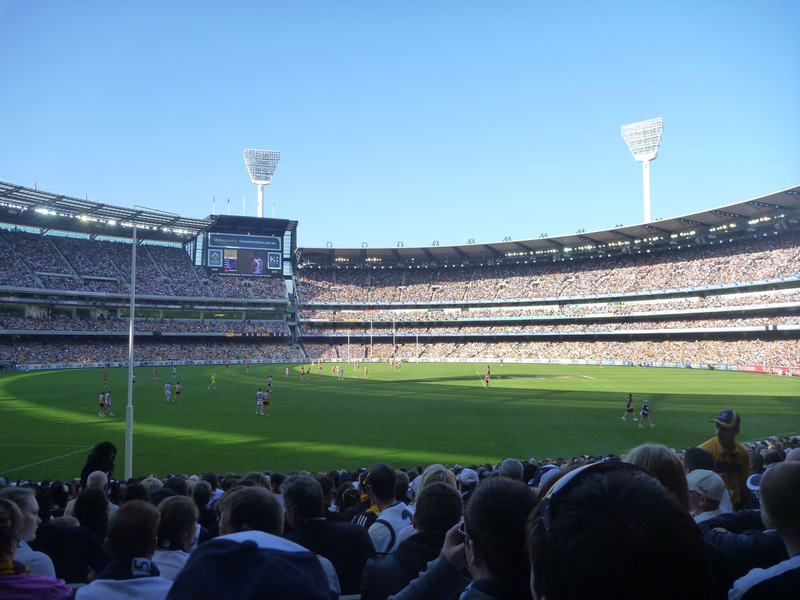 As such, a proper Melbourne itinerary in the fall/winter isn’t complete without a footy game, and the place to see it is the MCG – Melbourne Cricket Ground. We attended the Geelong vs. Hawthorn game where, despite trailing in the first half of the game, Geelong managed to pull out a victory and remain undefeated in the season. Our long weekend ended with dinner on Melbourne’s Colonial Tramcar Restaurant. Though a little touristy, the excursion was actually a fun and unique way to see some of the city’s other sights. 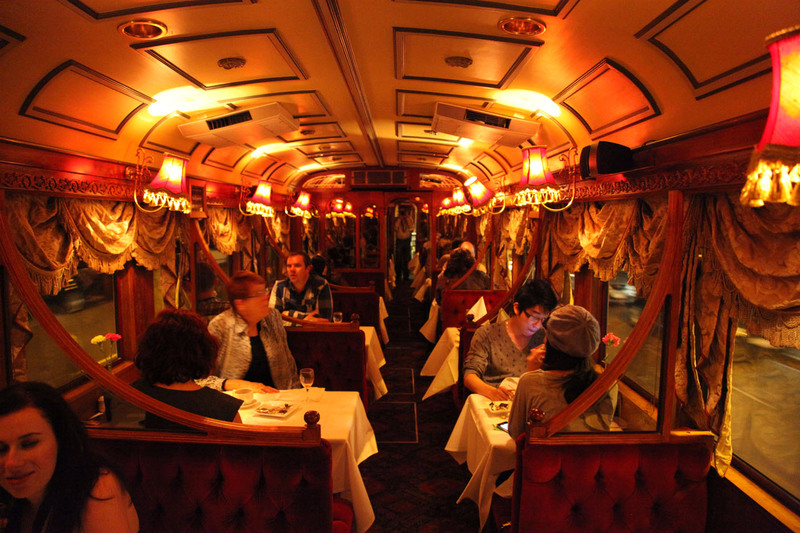 The experience is pretty much what you’d expect and, though the inside was a bit cozy, it was absolutely worth our while. Though that ended our holiday weekend and I had to return to work, Kristen still had the rest of week off, so she stayed in Melbourne and joined us for a few after-work events, notably Wednesday night bowling at the casino. Though my Melbourne project assignment has since come to an end, I’m grateful to have spent a good portion of time there. It’s a wonderful place and absolutely deserves its position near the top of the world’s list of most livable cities. Australia has a number of national public holidays, some of which you may celebrate (New Years Day, Christmas Day) and some you may not (Anzac Day, Boxing Day). There are also state holidays that may happen at different times on the year (or not at all) depending on what state you happen to be in. One of the most popular holidays is Australia Day, held annually on January 26th to celebrate the arrival in Sydney Cove of the First Fleet. Sailing from Great Britain and containing close to 1,500 people (including 778 convicts), the 11 ships reached Botany Bay between January 18-20, 1788. Of course, depending on your perspective, the landing of the First Fleet might not be something that merits celebrating. 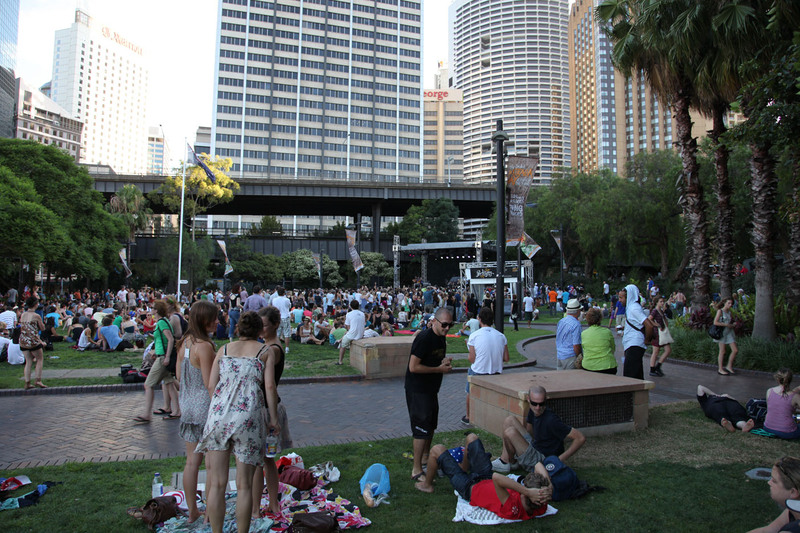 Due to the negative impact of this event on the indigenous Australians (Aborigines), the day has also been called Invasion Day and Survival Day, among others. This hasn’t really caught on (I suppose it would be a bit difficult to market), but protests and demonstrations occur most years. Nonetheless, Australia Day is like Independence Day in the United States, a day of picnics, drinks, music, festivities and fireworks, all of which we planned to take part in. We started the day with a picnic in Rushcutters Bay Park, near the Potts Point neighborhood of Sydney. Assuming that they would be difficult to find in Australia, I packed a black and yellow American football alongside my Terrible Towels for occasions just like this. 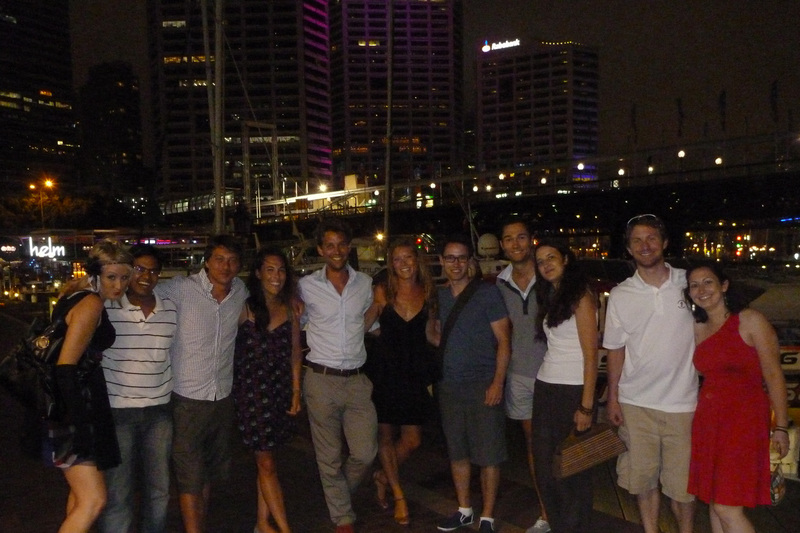 After spending a few hours at Rushcutters trying to teach the Aussies how to throw a football, we worked our way over to The Rocks, one of the historic areas of Sydney, to meet up with Kristen’s classmates and see a couple of the bands. From there we walked to Darling Harbour and Cockle Bay for dinner and the fireworks. During dinner the bar was televising a cricket game between the UK and Australia, so with the help of one of Kristen’s classmates, I now understand the game (more or less). 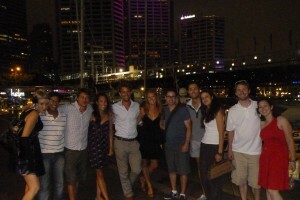 As in the States, the night ended with fireworks, always a crowd-pleaser here in Australia. 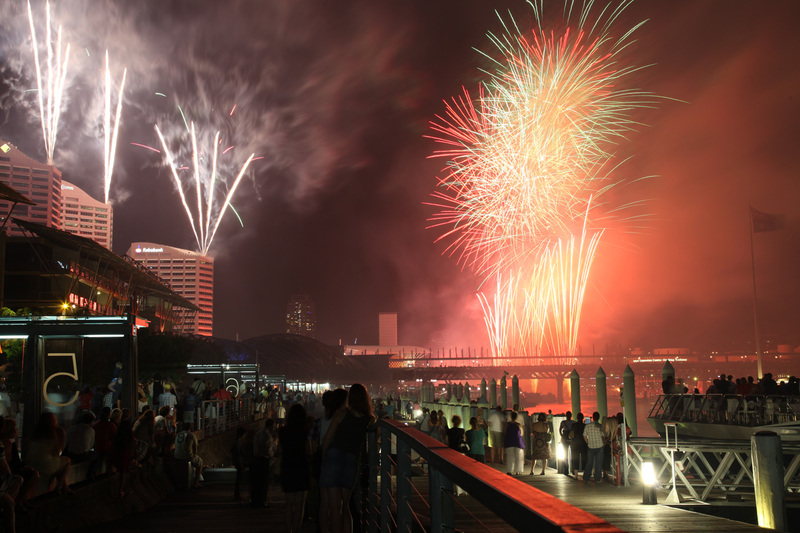 I think there were a variety of fireworks shows all over the city, but we opted for the ones in Darling Harbour, which are nice and close to our apartment. And, as you might expect, they offered some nice opportunities for yours truly to work on his night photography skills. I unfortunately didn’t have a particularly ideal vantage point, but I think I was able to get a few decent shots… you be the judge.